Have you ever been at a concert, or perhaps a sporting event, where all of a sudden your cell phone didn’t have a signal? This happens because when groups of people congregate in these places, they often exceed the capacity of nearby cell towers. Carleton student Irem Bor is working to solve problems like these that plague the many users of smartphones and other wireless devices. Bor is a PhD student in Electrical and Computer Engineering (ECE). Before her PhD, she studied Electrical Engineering at Bilkent University in Turkey. Bor explained that there are many downsides to cell-towers, aside from their inability to adapt to rapidly changing capacity demands. “They are costly to build, maintain, and operate. Also, they consume a lot of energy, and once you turn them on, you cannot turn them off,” said Bor. Moving forward, it would be ideal to use as few cell towers as possible. Yet, demand for wireless capacity is expected to increase by 600% in Canada by 2020. So, the question that Bor is addressing is how to increase capacity without building more cell towers. 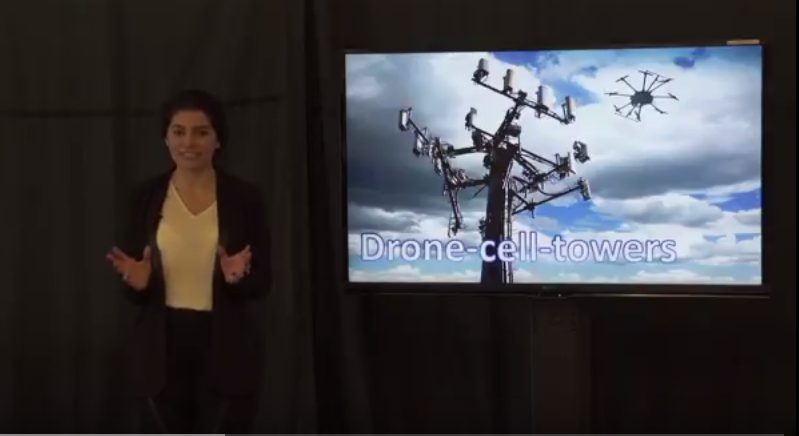 “In my research, we pioneered the idea of drone-cell-towers. Basically, we take the cell-tower from a tower, and mount it on a drone,” explained Bor. This doesn’t just have implications for frustrated concert goers trying to add to their Snapchat stories. Drone-cell-towers can have many critical applications, such as for search and rescue operations. “If someone is lost in the wilderness, there may not be a cell-tower nearby to pick up that person’s signal, but a drone-cell-tower can go get it,” said Bor. Bor first started exploring this topic when she joined Professor Halim Yanikomeroglu’s research team. Bor said that one of the best opportunities of the ECE program is that it allows you to experience the environments of both Carleton and the University of Ottawa. “Given that this is a joint program between the two universities, it doubles the number of professors, course selections, and opportunities,” said Bor. 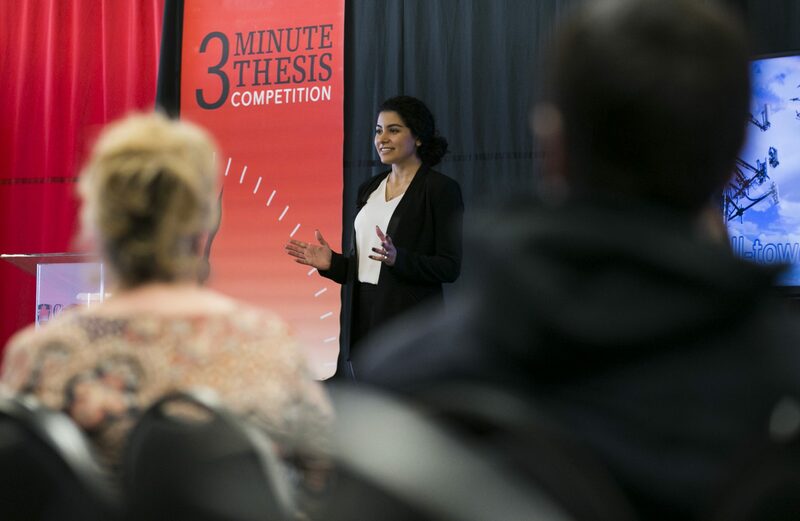 Bor recently participated in the 3MT competition where she was able to rethink, reorganize, and even improve her research. “It is a great opportunity to practise public speaking. I did not only learn so much while preparing and delivering my speech, but also by listening to other participants,” said Bor. In the meantime, Bor has also become active by working in Women in Communications Engineering (WICE), and being the public relations representative of IEEEXtreme, a 24-Hour Programming Competition. In the future, Bor would like to continue pursue opportunities for growth, learning, and innovation, whether it is in academia or in a Research and Development lab in the industry. Interesting idea, good efforts, and very supportive and experienced professor. Thank very much for your kind comments, Ismael. Feel free to reach out if you’d like to discuss the research further. It has been a privilege to work with Prof. Halim; I cannot think of a more supportive Professor at this stage of his/her career. He is a very inspiring person indeed!